The reason is that this error doesn’t let the user boot into the system at all. Thus, all you can access is the recovery mode till the issue is fixed. 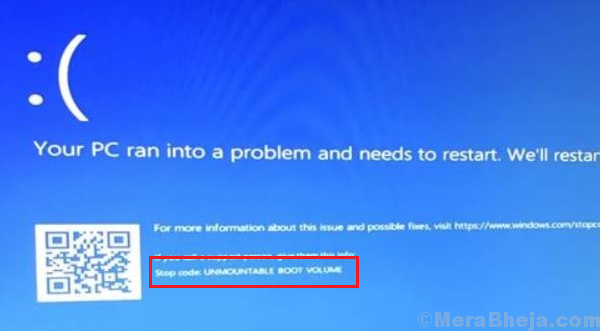 The error occurs when the system is unable to access the volume containing boot files, which is in turn the reason we cannot boot into the system. While a complete reinstall of the operating system could resolve the issue, it wouldn’t be without losing all data saved in the system. Thus, we would try other procedures first. 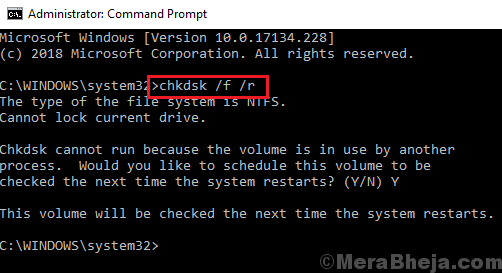 1] Keep press F11 (key might depend on the brand of the system) repeatedly when you turn ON the system. This would boot the system in recovery mode. 3] Now select the option Refresh your PC. 1] Boot the system in Recovery mode as explained in Solution 1. 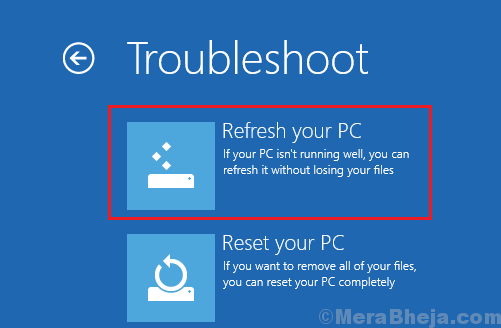 2] Select Troubleshoot >> Advanced options. 3] Click on Command Prompt to open the window. 5] Restart your system and check if you are able to boot normally now. 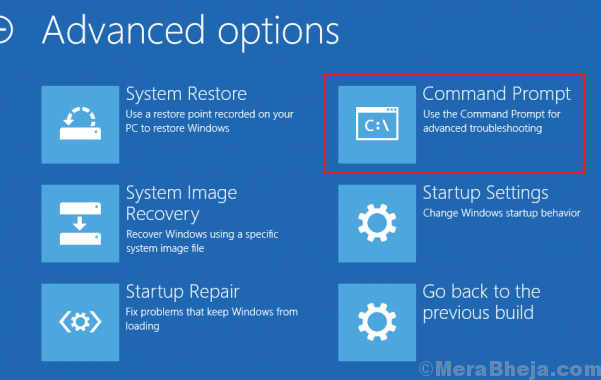 1] Open the Command Prompt window in recovery mode as explained in Solution 2. 3] Restart the system and check if it boots normally.